Skincare cushions reinvent the day cream and have all it takes to seduce Millennials: they adopt the codes of the Generation Y (surprise, sensoriality, speed, nomadism, ecology – sometimes with refillable packs). As perfect hybrids between skincare and beautifiers, they moisturize and brighten the complexion by blurring the imperfections. Luxury brands are the first to adopt these small foam cushions in face care. It is a little disconcerting at first, because one can hesitate between a foundation (to which it should be said cushions have made us get used), a primer, and a face moisturizer. 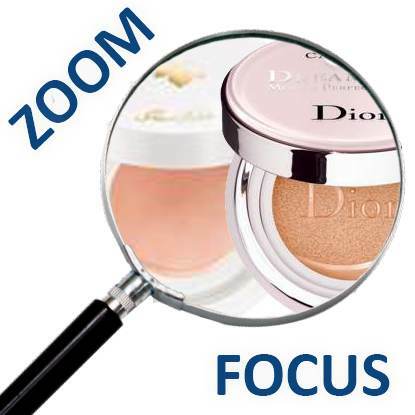 Skincare cushions are actually complexion-beautifying face care products with optical pigments. What’s more? An original gesture, a highly convenient travel size (the product does not run and can be easily slid in a purse as it perfectly adapts to a life on the run), and a fresh application. Dior, Guerlain, Givenchy… LVMH brands have adopted this new gesture for the post-summer season! 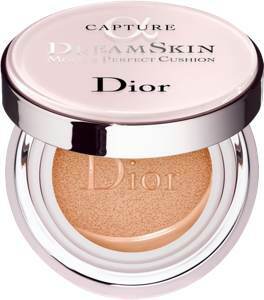 Dior imposed themselves as pioneers with Capture Dreamskin Moist & Perfect Cushion SPF50 (2 x 15 g – sold with a refill - €80.50). It moisturizes the skin with plant-derived glycerine, regenerates it thanks to boosted Longoza (a rare flower from Madagascar, a key active in the Capture Dreamskin skincare range), and conceals its chromatic imbalances with opilia rich in saponins. Its perfecting texture transparently evens out and beautifies the complexion (biomimetic micas and powders with a soft-focus effect) for a more natural, more beautiful skin – the whole goes with a high sun protection factor (synthetic and nano mineral filters). Just like for all cushions, you need to press the powder puff on the sponge cushion more or less intensely depending on the coverage wanted and to apply the product by gently tapping the skin. After use, make sure you close the inner cushion valve to preserve the formula’s efficacy and freshness. Since September 1, Guerlain has offered Bee Glow Aqua Cushion, Cushion Hydratant Effet ‘Rosée du Matin’ in the Abeille Royale range (€77, two shades: very bright for a pinkish illuminating finish or natural for a golden illuminating finish), a moisturizer which also acts as a brightening primer. Its ultra-fresh aqua gel texture creates a ‘wet effect’ to highlight the face contours. According to the brand, ‘today, women’s desires are focused on a “honey glow skin” soaked with hydration, bright and smooth like honey.’ NB It is the only one without an SPF. But there is no doubt the most original of all was designed by Givenchy. L’Intemporel Blossom Crème Jour Compacte Sublimatrice Anti-Fatigue SPF15 (12 g, €56, as from October 1) actually offers a pretty pink and white marbled, solid texture which gets suppler and melts when it comes in contact with the skin. The formula combines the moisturizing properties of a day cream (angelica extract, hyaluronic acid, revitalizing Brazilian pink peppercorn, a vitamin C derivative…) with a pinkish texture rich in blurring agents and radiance-generating microbeads. April 4, 2019 Self-tanners, the come back! March 14, 2019 Probiotics are coming into shampoos! March 7, 2019 Tea, coffee or chocolate? Feb. 21, 2019 Welcome to foundcealers! Feb. 14, 2019 Spotlight on detox!